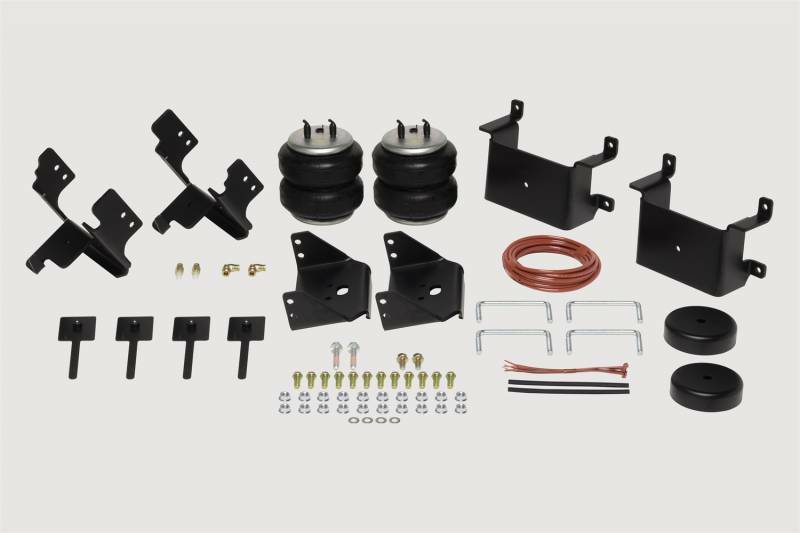 Firestone?COs most popular and comprehensive air helper spring line, Ride-Rite kits can be installed on most light trucks, motor-homes, RVs, SUVs and vans. Each application is specifically designed to maximize the vehicle?COs safe load-carrying capacity, stability, ride quality and brake effectiveness. Firestone Ride-Rite air helper springs provide load support through the use of air pressure that can be adjusted for changing loads. They enhance the ride by reducing inter-leaf friction. The system features individual inflation valves that allow for separate side-to-side or front-to-rear adjustment, which helps keep the vehicle level when carrying off-center loads and maintains ride quality under differing load conditions. Most Ride-Rite kits are no-drill systems, designed to use the vehicle?COs factory holes and mount between its frame and suspension. 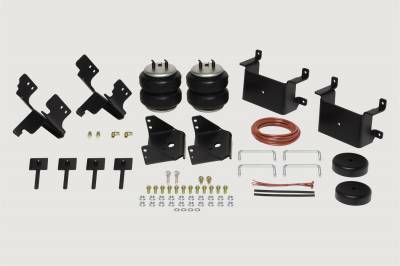 All the components are included in the kit for an easy installation that typically takes 1 to 2 hours. Kits come with a two-year limited warranty.